Are you concerned about 2012? This seems to me a good depiction of a very basic level of human energy and energic distribution. 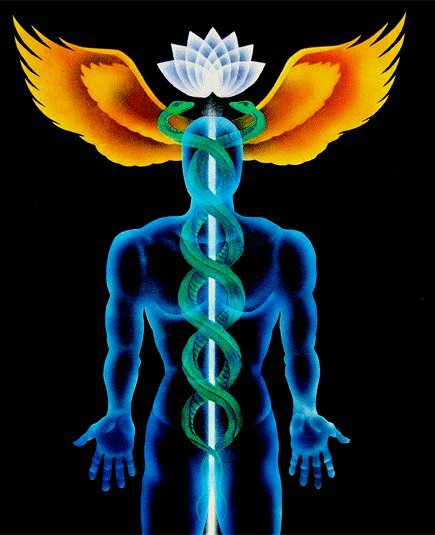 The Caduceus came to us for a very good reason; it describes the travels of the Ida and Pingala; the very energy flow of human entities. Myths were created to express Truth. 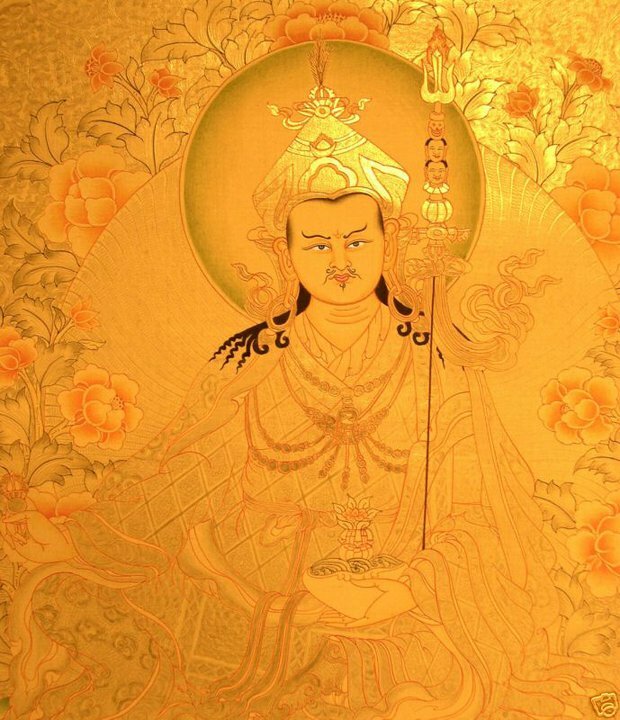 The Golden Guru...archetypically a human's Higher Self, or qualities that can accumulate into Grace, Knowing, and Peace. From the stance of the Golden One, energy can be perceived in it's movements and blockages. 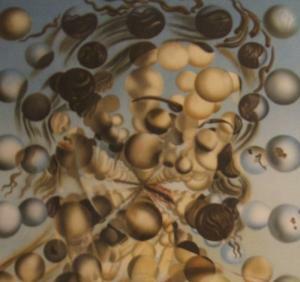 The Golden One is no better than "you," s/he simply has more refined abilities from more acute Perceptive Organs. The Toros above can be felt ... and if not physically felt, can be imagined, encouraged, focused on...when something/one is recognized enough...it begins to recognize the observer. Cultivate the ability to know the flow of Neutral, Loving, Innocent Energy rising toward and upward through your feet to beyond the Crown Chakra...and that same Pristine, Vital, Living Energy is flowing down toward and into and through and outside your physiology. They meet. 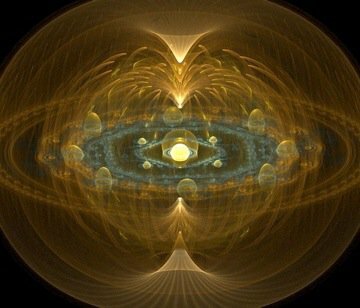 Being in Flow, they whirl, mix and redirect themselves to the outside of the body where they circulate and return back into the astral and physical bodies. 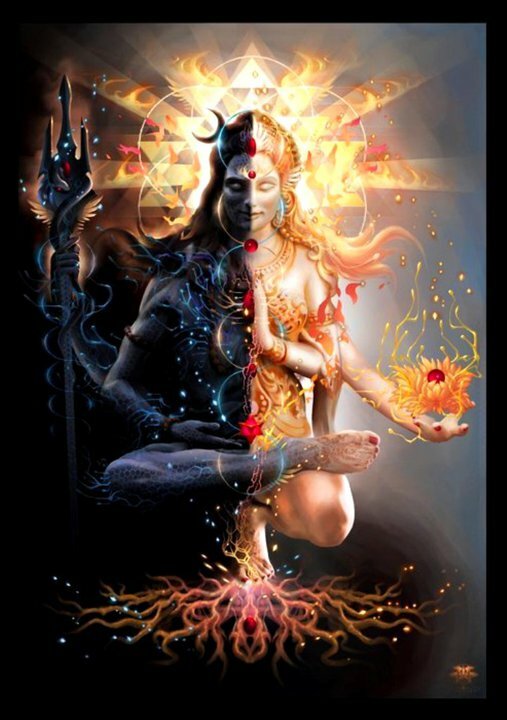 This rendition of Shiva and Shakti, the Shekinah...the Ida and Pingala, duality of All Things...shows me so strongly how the duality must remain a part of the human, until s/he achieves a state of living soley from his/her Golden One. At that time Density of energy is refined, lighter than before...able to permeate further and deeper because it may even be invisible, it is so light. 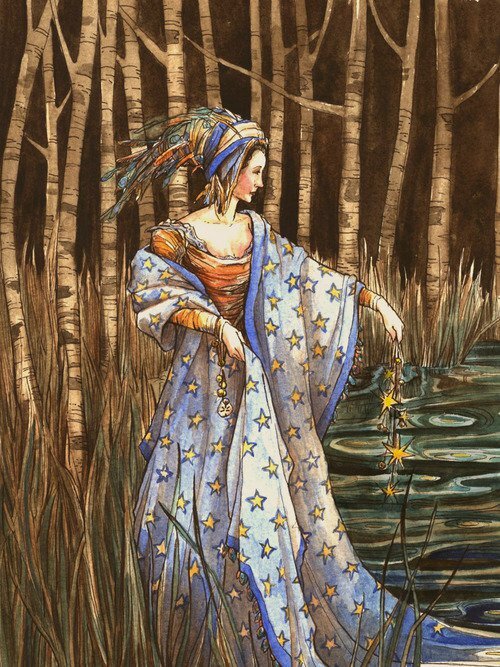 This Starry Goddess is another archetype for my Mission on Earth... sprinkle the stars; create them with whatever twinkle you can locate; spread them, enlarge them...fill all things with Light as best you can. No need for hurry; focus, stability and balance are premium. Created on December 20, 2010=8! Infinity!